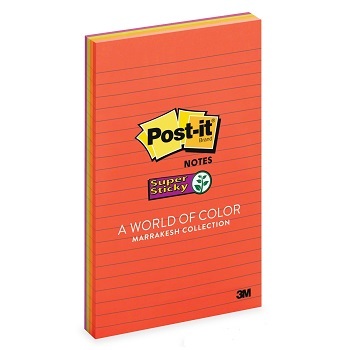 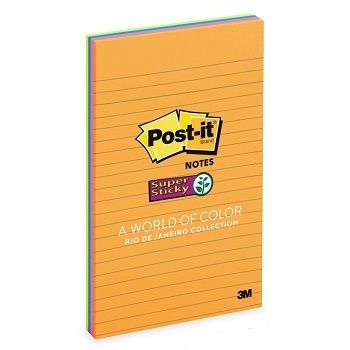 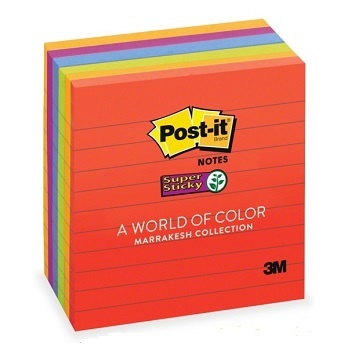 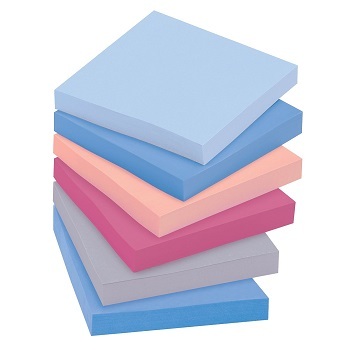 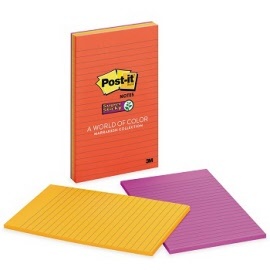 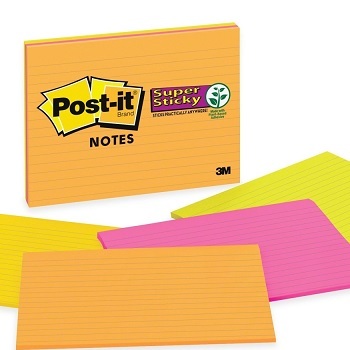 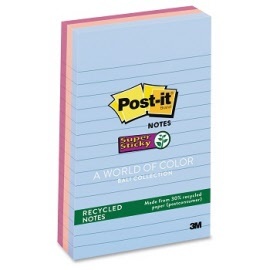 Post-it® Super Sticky products have a unique adhesive so your notes will stick securely to even more surfaces. The new generation of adhesive notes - extra strong notes that remove as cleanly as original Post-it® Notes. 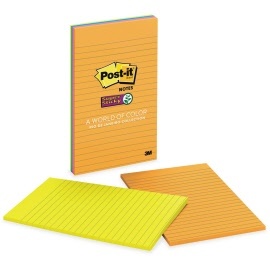 Make your message stand out and really... stick practically anywhere! 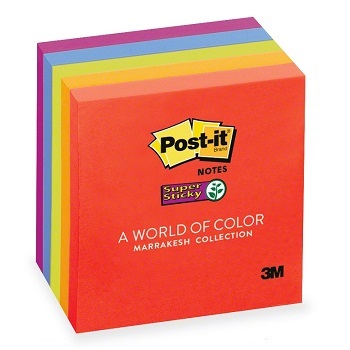 One pad each from the assorted Marrakesh collection. Marrakesh Collection (formerly 'Neon Colours') super sticky, repositionable, touch down adhesive notes. Draw attention to your message... and make it stick practically anywhere! 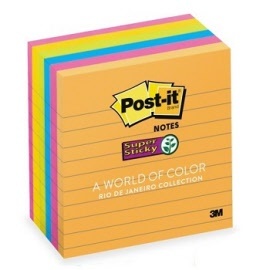 One pad each from the assorted Rio de Janeiro collection. 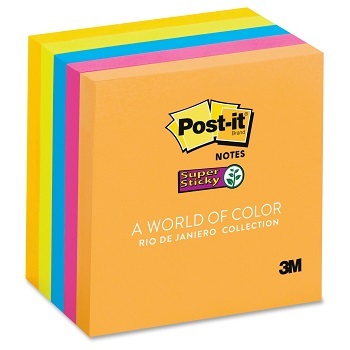 Rio de Janeiro Collection (formerly 'Ultra Colours') super sticky, repositionable, touch down adhesive notes. 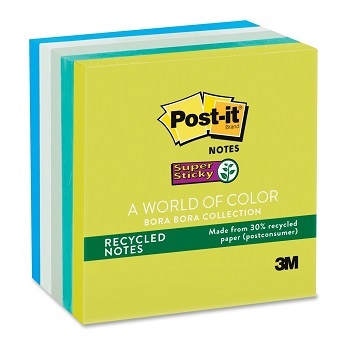 Environmentally friendly Recycled Notes in calming colours of the Tropics. 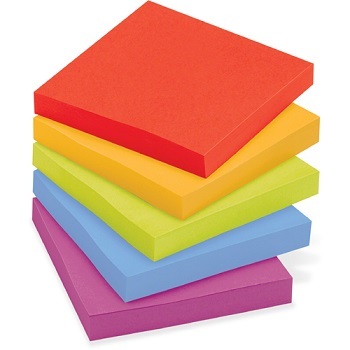 One pad each from the assorted Bora Bora collection. 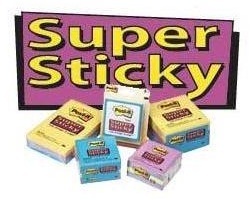 Bora Bora Collection (formerly 'Aquatic Colours') super sticky, repositionable, touch down adhesive notes. Keep your ideas fresh... and make them stick practically anywhere! 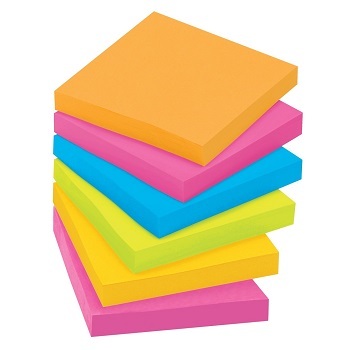 One pad each from the assorted Bali collection. 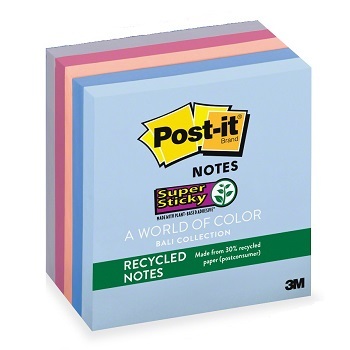 Bali Collection (formerly 'Natural Colours') super sticky, repositionable, touch down adhesive notes.